In George Orwell’s dystopian novel 1984, we were warned of the government’s all-encompassing “Big Brother” organization. 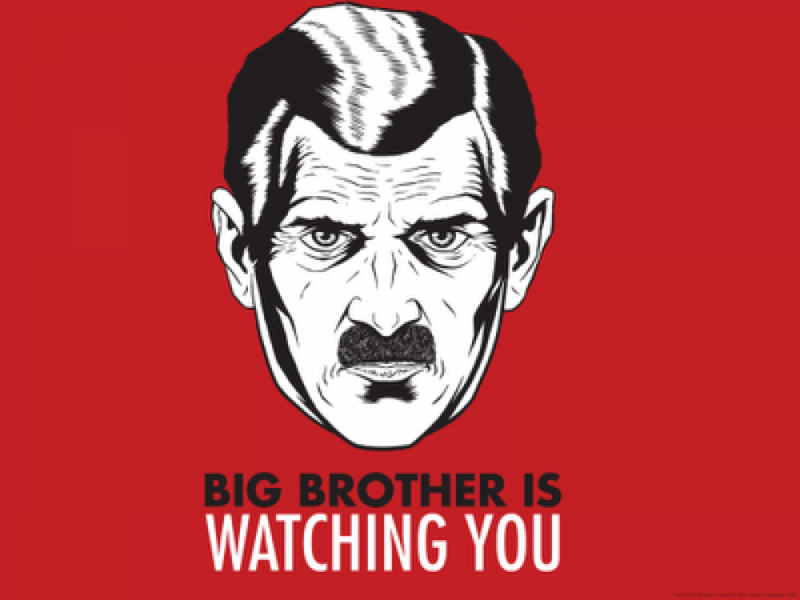 In the story, Orwell crafts a narrative that points out the dangers of giving too much power to the government through monitoring outlets like the Thought Police and surveillance cameras. Sounds crazy, right? That, after all, is just a made up story. How could any group of people ever allow themselves to be under constant surveillance? Currently, we are in the midst of allowing and enabling this type of surveillance to occur. Facebook, Twitter, cell phones: they are acting as our modern day thought police, monitoring our exact locations and thoughts. Hey, but at least, we have the option of disconnecting from those outlets. Unfortunately, though, there is one outlet that we are all presently and unjustly being subjected to: RED LIGHT CAMERAS. These cameras are being put on every corner and intersection across America, pulling in millions and millions of dollars in fines, while in many cases never being approved or voted on directly. How did we allow this to happen, though? 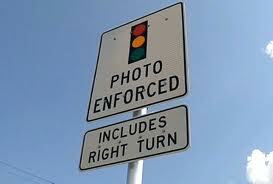 Well, the idea of red light cameras first became an issue here in the United States way back in 1982. It all started when the story of a reckless driver running a red light and killing an 18 month old child garnered national headlines. People latched on and went crazy. SOMETHING NEEDS TO BE DONE, they yelled. 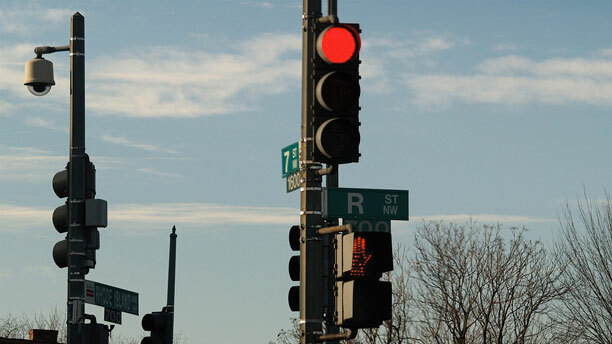 A few years later, red light cameras started appearing. Over the years, more and more states have implemented the “safety measure,” some with very few limitations of its usage. And, it’s led to a lot of shady business. On top of the deficiencies and unconstitutionality of the devices (which is further chronicled in the NMA link), there has also been a world of corruption associated to the court hearings involving these cameras. In fact, earlier this month, CBS investigative reporter David Sutta reported on a “Kangaroo court” culture that has been forcing drivers into unwarranted, unlawful, and unethical fees. Why is this happening? Well, local governments can see cold, hard green right in front of them. 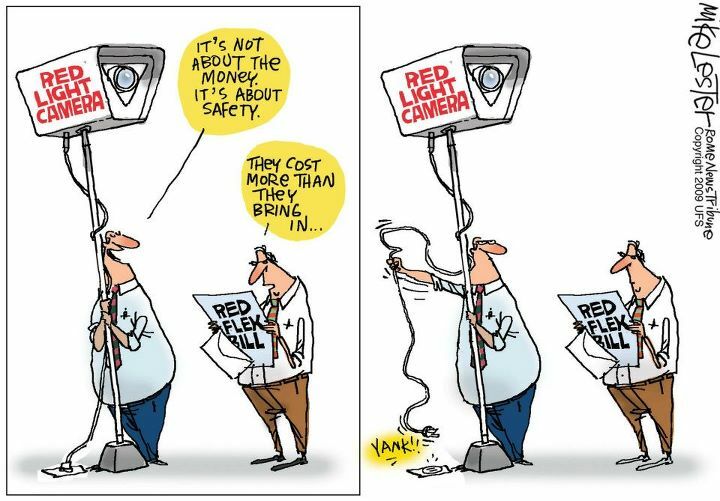 That’s right; in Florida alone, red light cameras generate upwards of $100 million a year! They have even been penciled in beforehand when making the state budget. Thankfully, some relief from this oppression has finally come in. Earlier this week, the Florida Supreme Court ruled that all red light cameras installed by cities before 2010 were illegal and that cities will now have to return the fines back to drivers. But this ruling is just a small gesture in the big picture. Currently, 26 states across the country are using red light cameras to bust drivers and bring in revenue. Only, these cameras are not doing as much good as they like to proclaim. Accident rates are still high, especially back end collisions from stopping short. In fact, many studies are coming out that red light cameras do little to nothing to curtail this trend (check out this list of independent studies provided by the NMA). This entry was posted in Culture and tagged 1984, big brother, culture, florida, george orwell, red light camera, supreme court, tickets, unconstitutional. Bookmark the permalink.